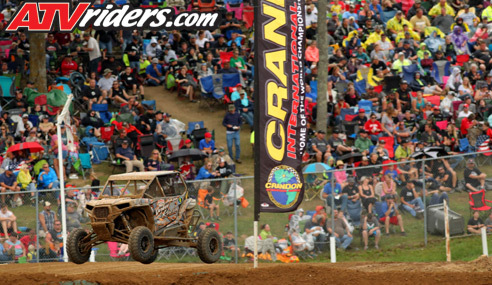 Marietta, GA (9/10/2018) – Jacob Gerken ran three full races during the Midwest SXS short course season finales at Crandon International Off-Road Raceway in Wisconsin. 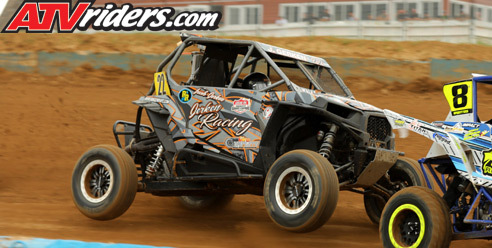 In his first fall race at the storied track, he drove his Polaris RZR in two Sportsman races, as well as stepping up to Pro Modified for the Crandon World Cup. Gerken was impressed by his first “Crandon Fall Experience.” He participated in the parade through town leading into the event and couldn’t believe the number of fans that turned out. The Sportsman races closed out the 2018 Lucas Oil Midwest Short Course League season. He was running in the top five in both races before contact took him out of both of them. He elected to run the Pro Modified class in the Cup race and scored his best finish of the weekend, running a naturally aspirated RZR against turbocharged cars with nearly double his horsepower. The only modification he made to his RZR was running without a muffler. Using his trusty Maxxis tires, he was pleased with his results. Gerken wanted to thank fellow competitor Kevin Cutts. He met Cutts while competing at regional races in the Southeast and the two decided to run the national series together. Gerken will compete in several regional races to finish out the 2018 racing at both Durhamtown Off Road Resort Union Point, GA and at Dirty Turtle Offroad Park in Kentucky.